Happy New Year! 'Tis the season of rebirth, renovation, and reinvention. It's kind of like spring cleaning, but for the self rather than the house or yard. 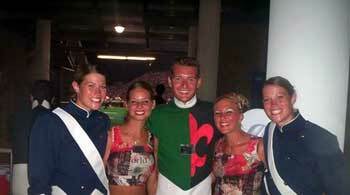 From left to right: Maria Ashton, Becky Novac, Ben Firkus, Ashley Studer and Jenna Ashton at the Murfreesboro show.